We watch our roses grow every day, literally. 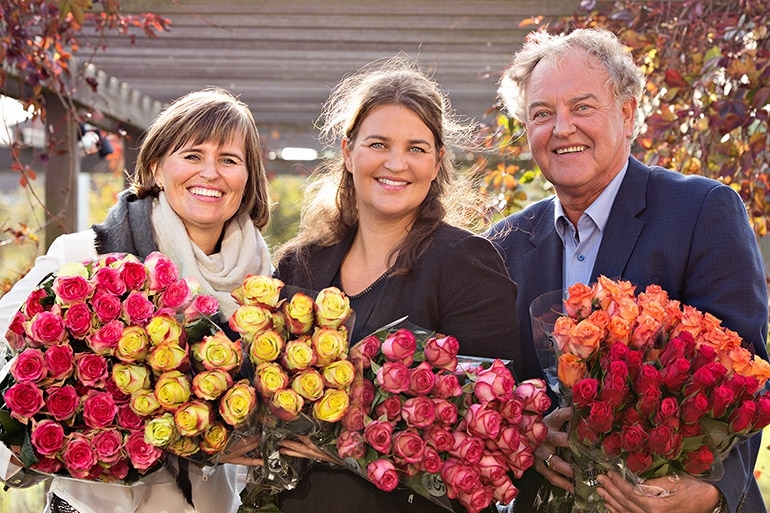 In the nurseries of our family business in Ecuador and Ethiopia, we cultivate quality roses for you and your customers. We enjoy what we do, take great care and genuinely love our work. Why? Because roses stole our hearts over 40 years ago. Our family business began in 1972. Initially an importer of roses, we soon started to cultivate them ourselves. We wanted to be renowned for superior quality and felt that could only be accomplished by cultivating our own roses. This allows us maximum control over quality, sustainability and fairness in terms of production and logistics processes. From cutting to full-grown rose, we are there every day to watch over them. We do this together with our staff, enthusiastic people who stand out because of their strong involvement and know-how. Each day, they nurture, harvest, pack and ship our roses with great care and dedication. It means we are able to sell our roses to you with complete confidence that your customers will enjoy them long after purchasing. Our nurseries and distribution site possess all appropriate internationally recognised certifications.